There is far more to pumpkins than most people realize. Pumpkins are being used as boats, in sports and creams. They are a very nutritious and hearty fruit. Pumpkins have grown far beyond being merely Halloween decorations. One of the strangest sports in the world is pumpkin boat racing. Never heard of it? Pumpkin racing began in Windsor, Nova Scotia. Contestants hollow out their giant pumpkin and race it across Lake Pesaquid. The PVCs (personal vegetable crafts) are divided into different groups. They have a paddling group and a motorized and experimental class. Contestants are encouraged to not only decorated their PVC’s but to wear a costume. In Windsor the day of the big race is a whole day of pumpkin fun and games. Howard Dill has been dubbed the ‘Pumpkin King‘. Dill is the man behind the Giant Pumpkin. It was his engineering and cross breeding that gave us the seeds for growing enormous pumpkins. Dill, himself held the title for growing the world’s largest pumpkin a number of times, before his record was defeated. Dill is also the founder of the world famous pumpkin races held in Windsor, Nova Scotia. Pumpkin Chuckin, is becoming a very competitive sport. The goal is very simple you want to launch a pumpkin as far as possible. Different types of launching machines are used to perform this act. Air cannons are very popular, while others prefer the more traditional trebuchet. The record for the farthest ‘chucked’ pumpkin is 4 4091 feet. Participants are not allowed to freeze the pumpkin before launching. 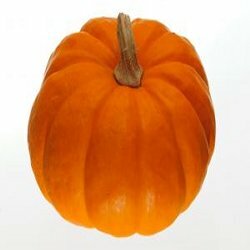 The pumpkin is the largest fruit in the world. A fruit is generally defined as the part of the plant that contains its seeds. In cooking many fruits are prepared more like vegetables because they are not sweet. Pumpkins, squash, tomatoes, corn and eggplants are all treated in this fashion. In 2009 a new record was set for the world’s largest pumpkin. The record was set by Christy and Nick Harp. Their massive gourd weighed in at 1 725 lbs. They grew the pumpkin in Jackson Township, Ohio. They said that they did not use any chemical fertilizers relying strictly on more traditional methods. Pumpkins are a good source of potassium and vitamin A. The world’s largest pumpkin pie was baked in New Bremen, Ohio. The monster pie weighed 2 020 pounds. The pie was 12 feet in diameter and was three inches thick. A common Halloween tradition is to carve pumpkins into Jack-o-lanterns. These smiling pumpkins are supposed to keep evil spirits away. Spirits are said to roam the earth on Halloween night because the veil between the world of the living and the world of the dead is very thin. Pumpkin carving stems back to an old legend about a man named Jack who fooled the devil. When the devil came to take him, Jack fooled the devil and lived for another year or two. When Jack did die, he was not allowed in heaven because he had not been a good man in life and the devil did not want him in hell because Jack had tricked him. The devil condemned Jack to roam the earth for all eternity with nothing but a lump of coal to light his path. Jack placed the coal in a carved out pumpkin, to prevent it from burning his hand. According to the legend Jack is still wandering. The legend of Jack comes from Ireland, where there were no pumpkins in early times. According to the oldest accounts Jack actually placed his lump of coal in either a turnip or a carved out potato. People discovered that it was far easier to carve pumpkins than either of the other two vegetables so the myth became altered over time. Peel the outer layer from the seeds. Take this mixture and mix it with honey. Use two parts mash to one part honey. This entry was posted in Food Trivia, Holiday Trivia and tagged pumkin information, pumkin skin cream, pumpkin facts, pumpkin facts trivia, pumpkin trivia, pumpkin trivia facts by Jane. Bookmark the permalink.